It isn’t too early to start planning to attend this convention. I was able to attend in 2013 in Spartanburg, SC. Last year I wasn’t as fortunate because we were visiting our new Grandson! 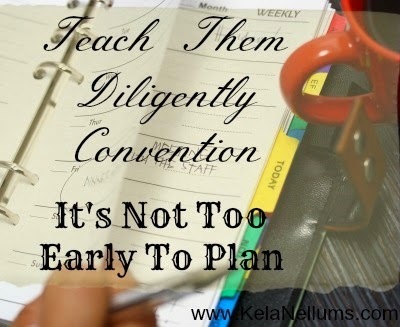 The 2015 Teach Them Diligently Convention that I’ll be attending will be in Atlanta, GA. Teach Them Diligently has proven to be more than just useful homeschool information, resources and vendors. I’ve found my way back to the core of our family’s calling and back to the deeper heart matters in myself. I gleaned from the experience of home educators that are “just like me”…human! They gladly tell stories of their struggles and successes. They sit and share how God has brought them through triumphant years and how, I too, can lean on Him through not only the homeschool years, but as a daughter/woman of God. If I don’t nourish my heart, how can I nourish the hearts of my children? A blog post can never properly convey how my heart soared. I’d love for you to experience Teach Them Diligently Convention for yourself! Can’t make it to Atlanta? There are several more locations around the U.S.! I’m sure there will be a speaker at each one the will give you exactly what you need for your Christian and Homeschool journey! Check out the list of speakers HERE! Make your plans now to attend and I really hope to meet you in Atlanta!